Home / internet / komputer / How to steal files in flashdisk ? How to steal files in flashdisk ? 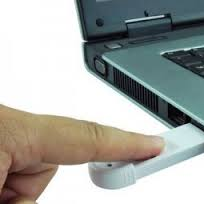 To steal your flash data must have a software called "THUMBSUCK", this software can rob data / flashdisk at the time of entry into the computer that already installed the software THUMBSUCK without us. For example you inserted the stick into another computer that already exist when the computer software then quickly THUMBSUCK existing files the flash directly into the suction / copy to your computer without the owner knowing it. After you download Thumbsuck, Thumbsuck.exe copy into a folder, eg: Local Drive D: and create a new folder, click 2x Thumbsuck.exe was to begin, Hiden folder for unsuspecting victims. Up to this stage you've managed to copy the data without the knowledge that has flash.